There are always amazing new toys and unique finds when shopping for kids. 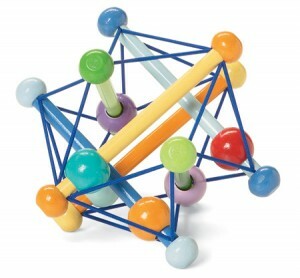 But let’s not forget the classic toys that stand the test of time! Since Small for Big likes to focus on modern design, I thought I’d show you some favorite twists on the usual classics. Items are arranged from youngest age to oldest. You can also see all the gift guides at Small for Big by clicking here! We lived for this little teether when Birdie was smaller. The size, material, and basic squeaking sound kept her teething chops busy for days and weeks and months. The Skwish’s original tagline used to be “It squishes flat and bounces back”. Catchy, no? It is endlessly fascinating to young babies, and the adults that watch them. Though I am the proud original designer/art director of this lovely line of soft baby dolls, I still believe she’s one of the best values out there. No hard plastic features, but with all the charm and sweet details that kids love – including a magnetic pacifier, bottle, and accessories. 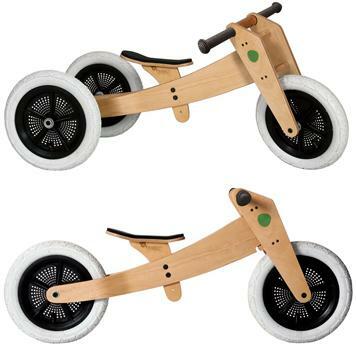 This bike transforms from a 3 wheel trike, to a 2 wheel low balance bike, to a 2 wheel taller balance bike. Balance bikes help your youngster learn to ride on 2 wheels so well they’ll never need training wheels when they move to a bigger pedaled bike. 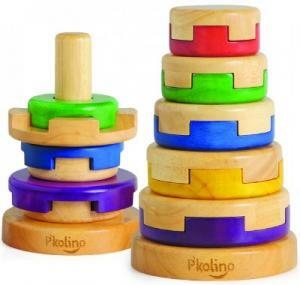 This stacking toy is an instant classic, and the added puzzle function kept my tot extra busy – we’re still solving it at age 2. 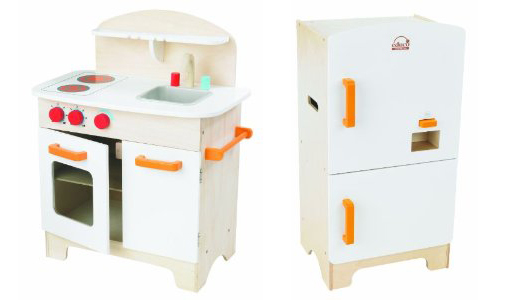 We got this kitchen set for Birdie’s last Christmas and Birthday. I looked at lots of wooden kitchen sets, but Educo’s is the best value with a modern look. Plus, the Refridgerator has a working ice machine. I’m not kidding you. Sometimes it’s worth a little extra moola to get the right one, and this dollhouse is definitely the right one. 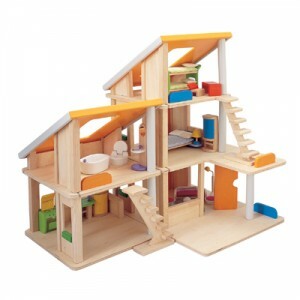 Modern Wood construction and simple wood furniture will grow with your kids for years to come. 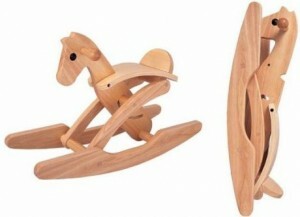 Modern design and collapsible function meet the timeless design of a wooden rocking horse. Gorgeous and practical! Simple, iconic, adorable, easy to use, and easy to store. Do I need to say anything else? 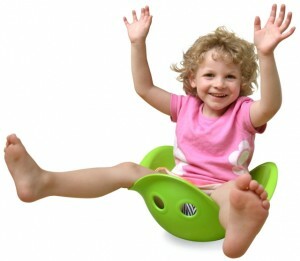 It’s super fun! This is hard to explain to hardened adults, but the open-ended play habits of youngsters will transform the Bilibo into a hat, rocker, scoop, house, spaceship and other unimaginable and extraordinary things. We love ours for spinning and bead-sorting. 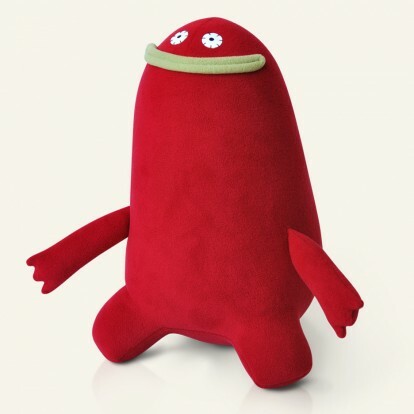 Monster Factory’s monsters make me drool, they’re deceptive simplicity hides some very devious charm and character. 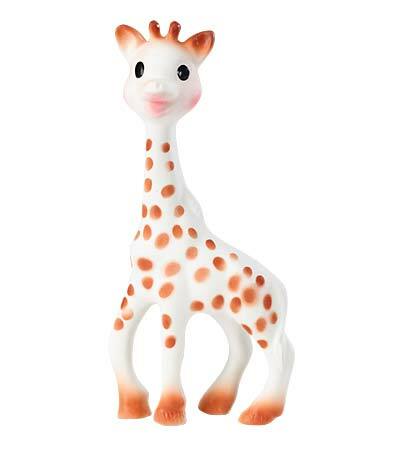 Click to see all the adorable styles and pick your new favorite friend.